Three years into an ambitious project to consolidate talent in Southern California and revive a legendary program, Condors face a tall task heading into 2018 Regionals. If you watch the NFL, or haven’t been living under an anti-sports rock, you probably know that the New England Patriots win their division basically uncontested every year. They have only lost the AFC East division twice since 2001. Likewise, if you pay attention to the club men’s division, you’ll notice that Revolver has won their region every year since 2009. 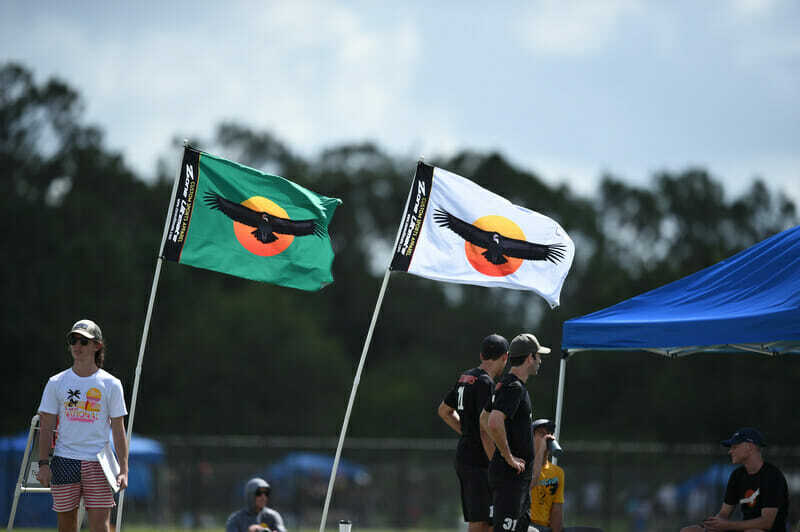 Just as the Jets, Dolphins, and Bills attempt to build successful teams knowing that their toughest challenge will be knocking off the Patriots, Southwest ultimate teams know that, inevitably, their path to Nationals will run through Revolver. In 2016, Santa Barbara Condors and San Diego Streetgang did something that NFL teams can’t: they combined to create a roster talented enough to compete with Revolver within the region. Perhaps even more importantly, the new squad was talented enough to earn wins over other elite teams around the country and add another bid to the Southwest mix, clearing a second path that went around the San Francisco dynasty rather than directly through it. While that 2016 team did not make it out of the region, Condors made Nationals as the second seed from the Southwest in 2017. This time around, though, the region is back to just one bid, and the Condors are faced with the unenviable task not just surviving all the other challengers, but also slaying the titan that is Revolver in order to earn their place at a National Championship being contested just about in their backyard. So the teams got pragmatic. Condors lost in the semifinals of Regionals in 2016, an inauspicious start to being a National semifinalist in short order. “The unit of Santa Barbara guys decided to coordinate where we play pro, to benefit Condors, because that was our main focus,” said Fontaine. In 2017, most of the Condors also played for the AUDL’s San Diego Growlers, giving the team an artificial sense of local unity. Enough of the team was in the same city at the same time for the majority of the club season to develop the necessary friendships and chemistry to bring the team together better than they had their first year. The travel was made a bit easier by overlapping the beginning of the club season with the AUDL season. Several men’s club teams use their local AUDL team essentially as extended club practice — a way to get in more reps as a group. For the Condors, it was a luxury to play together. When the Los Angeles Aviators and San Diego Growlers faced off, it amounted to free travel for a Condors weekend practice. And the decision paid off. The Condors made Nationals last October after a three year hiatus from a tournament the program once dominated. They came up well short of their semifinal aspirations, but it was meaningful progress they could build off. 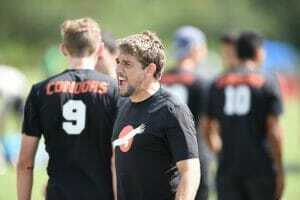 This season was the most successful so far for Condors playing semi-pro ultimate. For reasons of convenience, Condors players don’t congregate on just one semi-pro team anymore, but almost all play in the AUDL. Both the Aviators and Growlers made the playoffs in 2018, and Condors veterans used the time to connect with their talented semi-pro teammates and recruit them to play for the club team. Matt Theologidy first got to know many of his Condors teammates while playing for the Aviators. “A lot of the guys who played for the Condors were now back on the Aviators, and they encouraged me a lot to try out for the Condors,” said Theologidy. Talented athletes like Travis Dunn and Sean McDougall, both first team All-AUDL players, are first year Condors this season, part of a recruiting effort. Fontaine said his decision to play semi-pro was in part fueled by a desire to reach out to talented SoCal players who were hesitant to join the Condors. “We are casting a wider net,” he said. “We wanted to let those guys know that we were…hoping to recruit some of the guys in San Diego who were on the fence in recent years.” This season, Dunn has been a focal point of the Condors offense, and it is safe to say that their recruiting effort has paid off. Now in their third year as a merged team, Condors have figured out how to take in new players and maintain a strong sense of team chemistry. Despite the team spanning a geographical distance from San Luis Obispo to San Diego (a five hour drive before counting the notorious Los Angeles traffic), the team does what it can to be together as much as possible. Players gather in local pods for workouts and lifting sessions twice a week, then join together on weekends for trainings. The captains are careful to spread the whole-team practices evenly between Santa Barbara and San Diego, with a handful in Los Angeles (roughly representing the geographic makeup of the team), so that everyone has roughly the same travel commitments. Additionally, Boyd says this season, they’ve introduced organized team social events, helping players form friendships and new connections with teammates they might not know as well. The long commutes around the California coast don’t phase Boyd, who epitomizes the promise of this Condors team. After spending his college and young adult years on the east coast, he said, he knew he wanted to play with the legendary west coast program that the Condors built. Boyd drove across the country from Boston in three days just to make the extended tryout his first year, in 2012. He ended up making the team. “That’s what Condors means to me: putting everything aside in the pursuit of greatness,” he said. While players aren’t speeding through the Midwest this year, they are certainly used to the freeway, spending hours in the car commuting to practices, and getting used to the that promise of greatness. Everyone I spoke with on Condors said that they weren’t scared to face Revolver; for some, they have been waiting for almost a year to get their shot to take down a regional rival. Boyd admitted that part of the reason he wanted to play this season is to topple the reigning champions, describing the team as hungry after getting a taste of Nationals. With one bid on the line, there’s nothing left to do but line up across from the team they know they need to beat, and walk the path in font of them. No matter what happens this weekend, Condors is looking to set a template for growth moving forward. Boyd has focused much of his ultimate life on youth development. 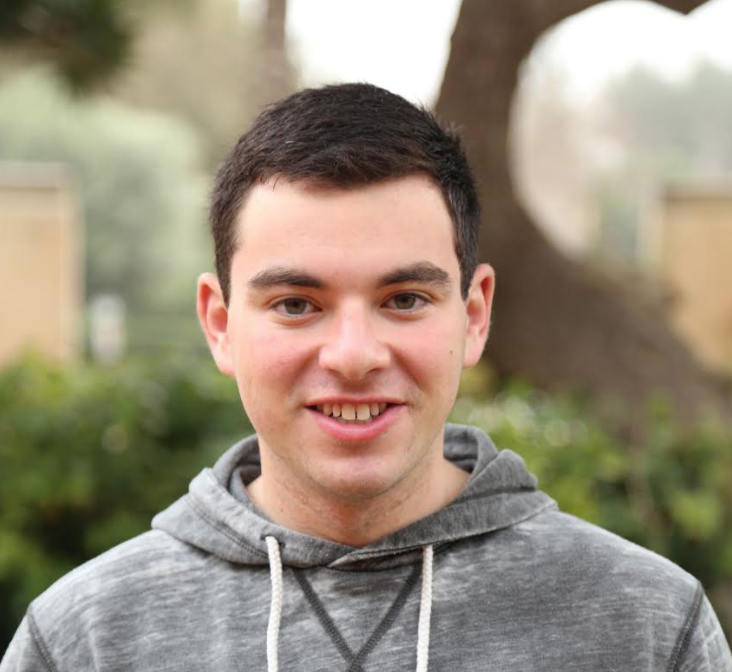 He spent the past few years building up Southern California Youth Ultimate (SCYU), the first USAU affiliate organization in the state of California, and is pretty confident that this is his last year playing club so that he can coach YCC and focus on building a robust youth pipeline in the region. Boyd noted that while UC Santa Barbara has famously strong ultimate teams, not many people stay in the area after college, and the ultimate scene becomes very transient. Now that Condors is a regional team, Boyd is hoping to show younger players that they have an ultimate community in their home town, wherever that is in Southern California, and that they don’t have to move away to find quality playing opportunities. In a few years, players won’t have to recruit all-stars from their pro teams; the all-stars will have grown up playing with Condors. Condors has a budding feeder program in YCC Mixed U20 Champion Powerline. A few weeks ago they cemented that connection with a mixed scrimmage, combining players from Powerline and San Diego Wildfire. Over the past few years, some of the older Condors players have aged out, and with an influx of youth comes a hunger for success. In 2016, Condors set a goal of being a top four team at Nationals in two years. While they didn’t accomplish that goal, they cannot be called anything other than a success at this point; the team has shown steady growth and improvement, with each successive season showing a higher ceiling than the last. With a few years to work out the kinks of merging teams, and a bit of time on the semi-pro circuit seeking game-changing talent, Boyd is confident that this is the highest-ceiling Condors team yet. At Regionals, the 2018 #10 SoCal Condors have an opportunity to build an even bigger success and stamp a signature win. No matter what happens, all winter long they have an opportunity to continue to build a strong SoCal ultimate community from the youth system all the way up to those pushing to become the greatest team in the country. That’s the path they walk now, one all their own. Comments on "Incubation Period: Developing Condors’ Next Generation"